Sports injuries: when do show-stoppers need surgery? It’s been a week of injuries in two major sporting events: Wimbledon and the Tour de France. Helen Handoll, Co-ordinating Editor of Cochrane Bone, Joint and Muscle Trauma, takes a look at sports injuries and evidence. 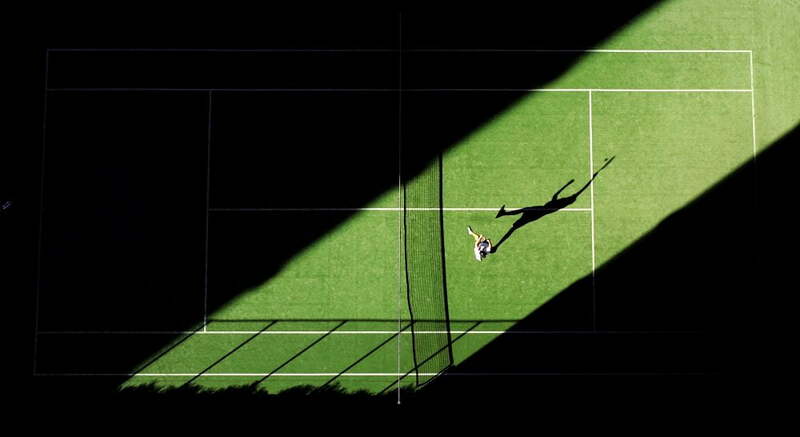 Wimbledon is upon us – yippee for all tennis fans – and the spectre of sports injury is on Centre Court. On Tuesday, two matches stopped early for leg injuries, with some grumblings over whether they should have started in the first place. The various pressures on sportsmen and women to play despite injury have been highlighted. Even being on court can be bruising, with one line judge being struck by the ball three times during one match. More spectacular and badly timed was Mark Cavendish’s crash into a barrier at 60 km/h during the Tour de France. With a broken shoulder, he is now out of the race. This is the same shoulder that Cavendish dislocated at the opening stage of the Tour in 2014, which I blogged about here. Unfortunately, @MarkCavendish has been forced to withdraw from #TDF2017. It is now established that Cavendish has suffered a fracture to his scapula, which is an uncommon shoulder fracture. Fortunately, there was no nerve damage and the team doctor announced that surgery would not be required. A picture shows Cavendish sporting an extensive shoulder immobiliser which allows him to rest his shoulder while healing takes place. It is good that this essential treatment decision – whether surgery is needed – can be taken so readily in this case. The role of surgery is the focus of several Cochrane reviews of predominantly sports-related musculoskeletal injuries. Examples considered here are collarbone (clavicle) fractures , severe ankle sprain (lateral ligament injuries)  and ruptures of the ACL (anterior cruciate ligament) in the knee . Typically for serious injuries, surgery promises better restoration of anatomy, better stability while healing takes place and potentially in the long term, and the prospect of earlier mobilisation and return to function. Especially to athletes, the potential for an earlier return to sport can be a major reason for opting for surgery. However, these aims may not be achieved, and surgery comes at the risk of surgery-related complications, such as infection and extra injuries resulting from the surgery itself. It is dismaying to find that conclusive evidence is not available to inform on or confirm the role of surgery for the types of collarbone fractures or ankle sprains where there is uncertainty about its use. For ACL rupture, there is already a greater onus on surgery that concurs with the strong preference for surgery by athletes and other physically active people. As the Cochrane review on ACL rupture concludes, the research question has shifted from whether surgery is needed soon after injury to one where early ACL reconstruction surgery is compared with a formal option for ACL reconstruction surgery later on if criteria relating to knee instability are met. Elite athletes such as Cavendish are exceptions and, as well as having an extraordinary level of fitness before their injury, have a team of people advising them about these decisions and helping restoring them to peak condition. Treatment decisions, including surgery, for the rest of us who have sustained these injuries will depend on different factors. Irrespective, it remains important to know where there is reliable evidence and where there is uncertainty in making health choices. And finally to remember that evidence-based decision making is a combination of best available evidence, clinical expertise and patient values and preferences. Helen Handoll has nothing to disclose. 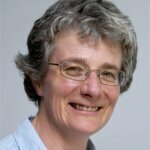 Dr Helen Handoll is is a Reader in Orthopaedics at Teesside University; and the Co-ordinating Editor of the Cochrane Bone, Joint and Muscle Trauma Group. Her research interests focus on getting the evidence to inform the management of people with hip, shoulder and wrist fractures, either via primary research or conducting Cochrane systematic reviews.